Youtube is the biggest source of entertainment available online. You can watch movies, video songs, gags, standup comedies, tutorials and what not. None of us spend our time without Youtube when we are online. But many times you like a video and you want to see it again and again. And if you have slow internet it ruins all the fun. At such times Cercube 3 comes to rescue. 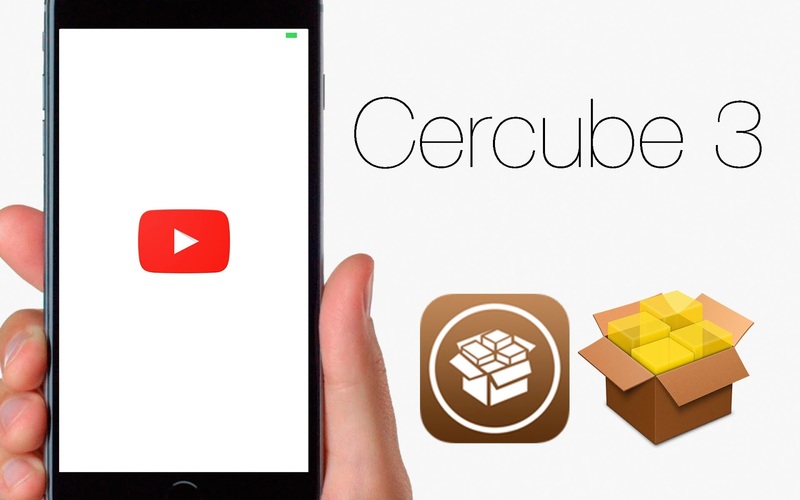 Cercube 3 is an awesome Cydia app that allows you to download Youtube videos on iOS 9 and iOS 8. Besides support Youtube video download it also provides many other quality features like blocking the ads on Youtube, enabling/disabling autoplay, import downloaded videos to music library. Hence here I am sharing a quick guide on how to download Youtube videos on iOS 9 using Cercube 3 Cydia app. Background Playback - Cercube 3 lets you play the videos in background. So you aren't blocked with just the video. Just play it and keep chatting or surfing. Ad Blocker - It also allows you to block ads on Youtube videos. Just enable the Ad blocker and enjoy ad free Youtube browsing. It works like Ad Blocker that also block ads on iPhone iOS 9. Auto Replay - It also allows you to replay the videos again and again when playback is finished. Block Promoted Video Ads - You can also block the promoted videos on "What to Watch" page. Bypass Age Restriction - View any video on Youtube. No age restriction and blocking. Cercube 3 comes with the bypass options. HD/HQ Quality on Cellular Data - Cercube 3 allows you to choose the resolution you want to play the Youtube videos. Choose anywhere from 144 pixels to 720 pixels HD. Use cellular data and stream HD videos on your iPhone,iPad or iPod touch. Reapeat the Youtube videos again and again using auto replay. Allows you to download videos in any available quality. Allowa you to choose the homepage on Youtube app. Is equipped with Cercube manager that lets you view, manage and share all the downloaded Youtube videos. All the information about the downloaded videos is shown in a beautifully crafted manner thorugh download manager. You can share the downloaded Youtube videos using Airblue sharing. Step 1 - Tap Cydia icon on homescreen to open it. Step 2 - Search for Cercube 3 in using the search option. Cercube 3 is available on Bigboss repo for free. Since the Bigboss repo is already added you don't need to add any Cydia/Apt URL. Step 3 - Tap the Cercube 3 option from the search results an install it. Cercube 3 is now successfully installed on your iOS device. You can now configure Cercube 3 as per your convenience. Use the Youtube settings app to configure the Cercube 3 app. Activator is required for running this app. So if you are facing any error after installing Cercube 3 on your iPhone, iPad or iPod touch. Then it might be that Activator is not installed on your iOS device. For downloading activator on your iPhone/iPad refer this post - Activator Cydia tweak for iOS 9. So this was how you can download Youtube videos on iOS 9 using Cydia. Download Cercube 3 and do comment for any issues.